Cherry blossoms (sakura) are not only beautiful to view (hanami), but did you know that they also have a delicious taste?! In Japan, we use the sakura flower, and also the leaf, to make delicious and unique snacks and drinks that can be enjoyed during the springtime. So what does sakura taste like? While they are called 'cherry blossoms', don't expect the sakura snacks to be cherry-flavored! You'll just have to try one of top five traditional sakura-flavored goods to find out! 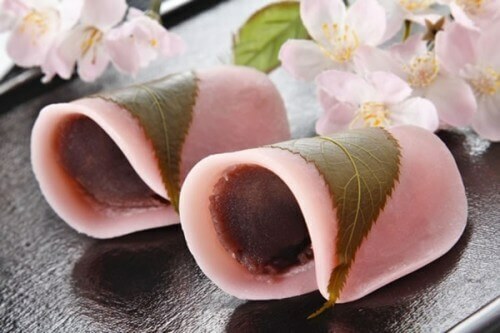 Sakuramochi (桜餅) is a traditional Japanese sweet of sweet pink-colored rice cake (mochi) with a red bean paste (anko) center, wrapped in a pickled sakura leaf. It's especially popular on Hinamatsuri, or Girl's Day, on 3 March. Interestingly, different regions of Japan have different styles of sakuramochi. 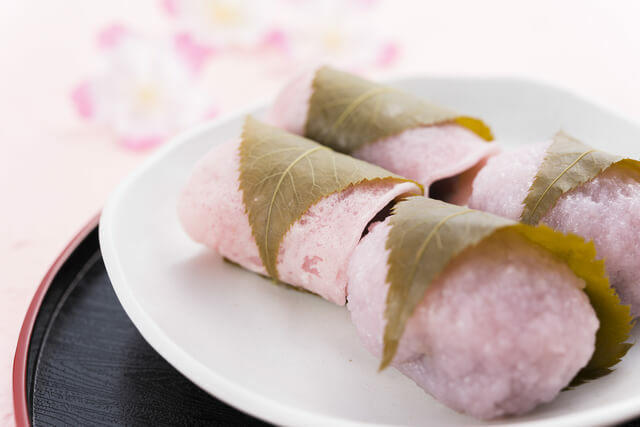 Chomeiji (Kanto style) - flour is used to make the dough and red bean paste is put between the folded dough and wrapped with a pickled sakura leaf. Domyoji (Kansai style) - glutinous rice is used to make the 'cake' and the anko is put inside the rounded mochi. Sakura-cha (cherry blossom tea) is a one-of-a-kind Japanese tea. 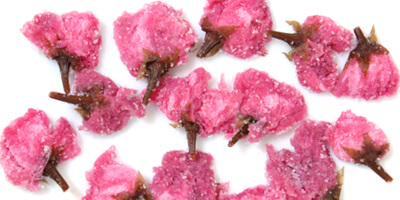 It might sound unusual, but the secret is that salted sakura is added to the tea. 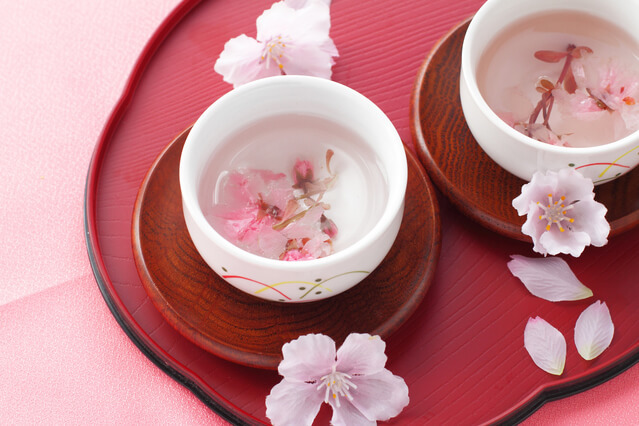 Enjoy the nice smell and color of the sakura flower and the lightly salted taste of the tea. You can also eat the salted sakura flavours as they are, like a salty, crunchy snack! Pour hot water over one sakura in a cup and wait a few minutes - this freshens the blossom and removes some of the salt, otherwise the tea would be too salty! Kit Kats are very, very popular in Japan and Sakura Matcha Kit Kats are extra popular, because they are generally only available during springtime. 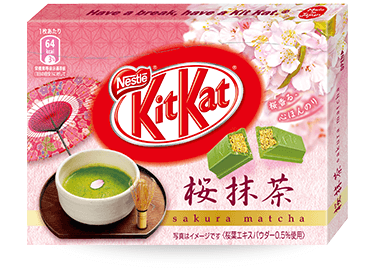 Enjoy hints of cherry blossom cream sandwiched between wafers and covered in Uji Green Tea flavored chocolate. And the best thing about Kit Kats? They are made for sharing, so are the perfect addition to your hanami picnic! 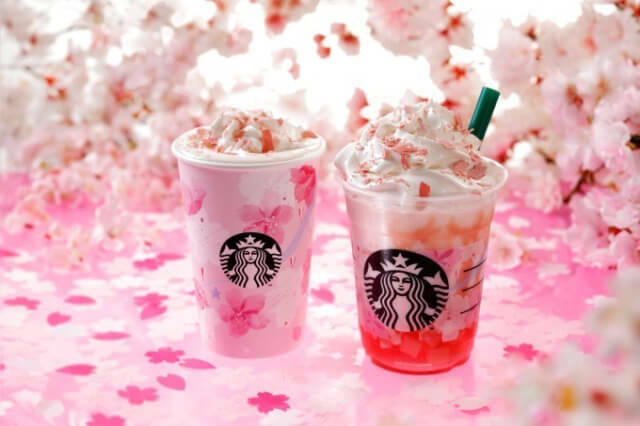 It's hard to resist one of Starbucks' dreamy pink drinks in spring! Not only does the franchise offer sakura-themed food and drinks, but also released a range of seasonal drinkware as well. This year their 'Sakuraful' range includes a Milk Latte and Frappuccino, with flavours of strawberry, chocolate and sakura jelly. Be reminded of the pink cherry blossoms, as you bite into the sweet and salty sakura-flavored chocolate covered pretzel sticks. 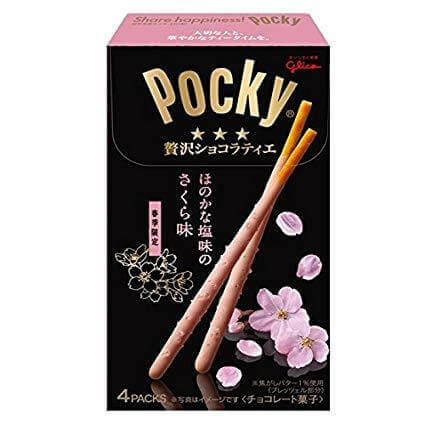 The limited-time Sakura Pocky is only sold in selected stores. Don't miss out on your last chance to sample some of Japan's most famous hanami snacks, like taiyaki and hanami dango, in our Hanami Party (Ramen + Sweets Mix) Pack. Subscribe before the 31 March to get this delicious pack!